We all know Donald Trump. 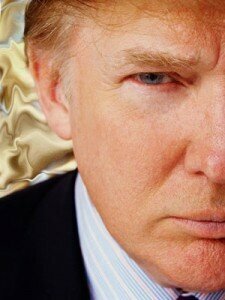 Aside from his striking hair, he’s only one of the most prominent business magnates in America. After getting himself in $900 million in personal debt, and in about $3.5 billion in business debt back in 1991, in about five years, Trump was able get himself out of debt and back to billions. Right now, Donald Trump’s net worth is a serious $2.5 billion and is certainly growing every year. Here are Donald Trump’s top ten quotes on personal finance, giving us a little insight of what makes him succeed. 1. When I started out in business, I spent a great deal of time researching every detail that might be pertinent to the deal I was interested in making. I still do the same today. People often comment on how quickly I operate, but the reason I can move quickly is that I’ve done the background work first, which no one usually sees. I prepare myself thoroughly, and then when it is time to move ahead, I am ready to sprint. 2. If you really want to succeed, you’ll have to go for it every day like I do. The big time isn’t for slackers. Keep up your mental stamina and remain curious. I think that bored people are unintelligent people. 3. Experience taught me a few things. One is to listen to your gut, no matter how good something sounds on paper. The second is that you’re generally better off sticking with what you know. And the third is that sometimes your best investments are the ones you don’t make. 4. I like thinking big. If you’re going to be thinking anything, you might as well think big. 5. Every day, you’ll have opportunities to take chances and to work outside your safety net. Sure, it’s a lot easier to stay in your comfort zone.. in my case, business suits and real estate.. but sometimes you have to take risks. When the risks pay off, that’s when you reap the biggest rewards. 6. In business, I’ve discovered that my purpose is to do my best to my utmost ability every day. That’s my standard. I learned early in my life that I had high standards. 7. Take the pains required to become what you want to become, or you might end up becoming something you’d rather not be. That is also a daily discipline and worth considering. 8. Confidence can get you where you want to go, and getting there is a daily process. It’s so much easier when you feel good about yourself, your abilities and talents. 9. Be focused. Put everything you’ve got into what you do every day. 10. What matters is where you want to go. Focus in the right direction! Whatever Trump is doing is getting him far, and based on what he’s saying, it takes a combination of discipline, focus, guts and intuition to get where you want to go.